Aganetha Dyck: from the MMasked Ball series, 2008. 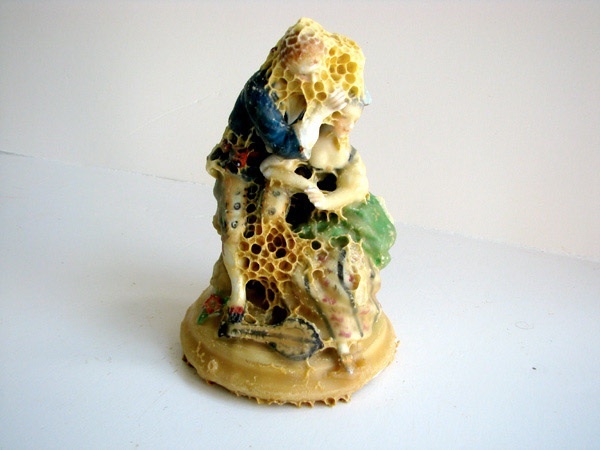 Figurine + honeycomb. Thanks to Paul, who introduced me to her work. I'm particularly taken with these. Post title: from 'Statuary' by Nick Flynn.